Add on option for customer who want to do Windows disk Image backup without all critical volumes. 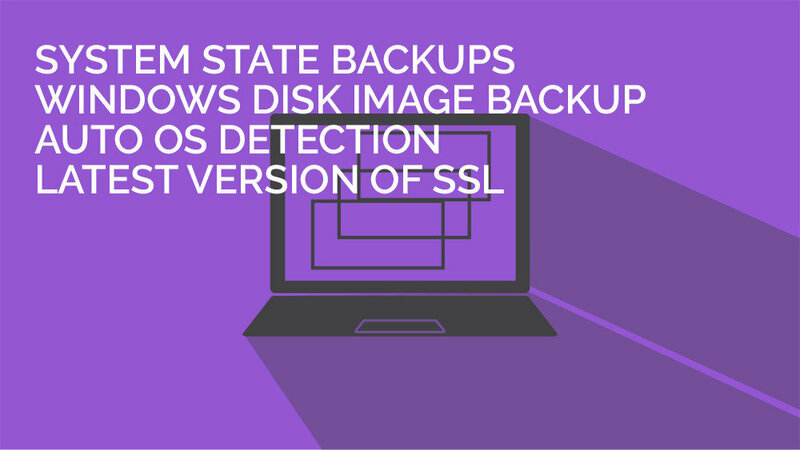 Auto OS detection for Windows Disk Image backup and Windows system state backup. Last night, the new WholesaleBackup White Label Client build was published, and the automated updates are being staged for your clients in the next 24 hours. If you want to update any of them earlier, you can just open up the client GUI and you will be prompted to update automatically. It has both System State backups as an option, as well as the option to turn off the “-allCritical” backup flag for computers with EFI boot partitions. Please do note that Microsoft has disabled system state backups for all Windows 7 and 8 versions, but will be available on all Server versions. HAVE YOU EXPERIENCE THE EASE OF CLOUD BACKUPS?